Get the EFCU Platinum Rewards Mastercard® and enjoy a low rate while earning points towards travel, merchandise, cash back and more. If you have equity in your home and need extra funds, we offer a great rate on our Home Equity Line of Credit Mastercard®. **APR = Annual Percentage Rate. Rates and terms subject to change without notice. Interest rates will vary based on the Wall Street Journal Prime Rate which was 5.50% as of 12/20/2018. Minimum monthly payments are calculated based on 1.50% of the New Balance or $35, whichever is greater. Apple Pay™, Samsung Pay™ and Google Pay™ ready, visit our Mobile Wallets page to learn more. Manage your EFCU Credit Card usage through your mobile device by defining when, where and how your card is used. Available for Android and Apple devices, the free CO-OP CardNavSM app enables you to set controls regarding the transaction types, geographic rules, and the merchant types where your EFCU Credit Card can be used. To ensure you have no interruption of service to your EFCU credit and/or debit card. Please be sure to notify us if you plan on taking a trip out of town. You can call us at 850.862.0111 option 1, or submit your travel notification via DocuSign using our Travel Notification Form. Earn 1 point for every $1 spent. From fuel to groceries to meals out, your everyday purchases will really pay off! 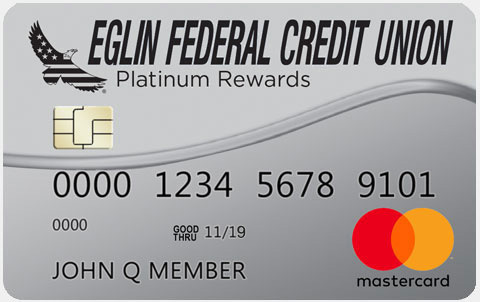 The Eglin Platinum Rewards card offers an exciting reward selection including cash back, gift cards, merchandise, green products, travel & charitable donations. 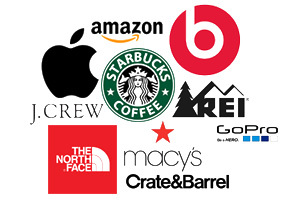 Use points to shop popular brand merchandise and gift cards such as Apple, Beats, Bose, GoPro, Macy&apos;s, Crate & Barrel, J.Crew, REI, Starbucks and many more. Shop local and national merchants in-store or online and automatically earn up to 10 bonus points per dollar spent when using your rewards card. Learn more about the ShopSPOT bonus points program here. Earn double points* on airlines, hotels and car rentals when you use your Platinum Rewards Mastercard® this summer. If you already have the EFCU Platinum Mastercard and are interested in taking advantage of our Rewards Mastercard, now is the time to upgrade! Switching is quick and easy. 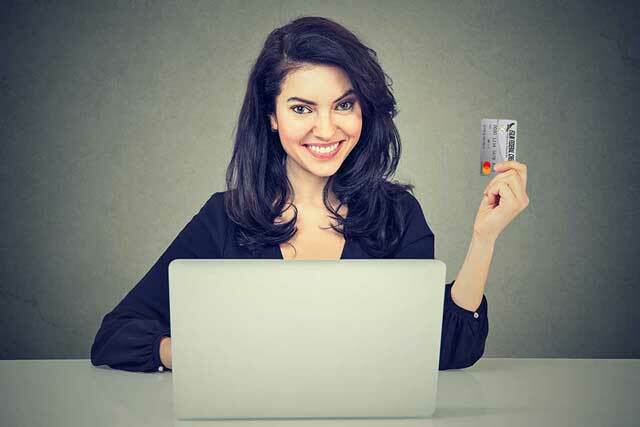 Visit a branch and get your new Rewards Mastercard the same day, or apply online. 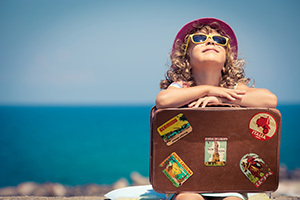 To browse rewards or redeem points, visit dreampoints.com/eglinfcu. 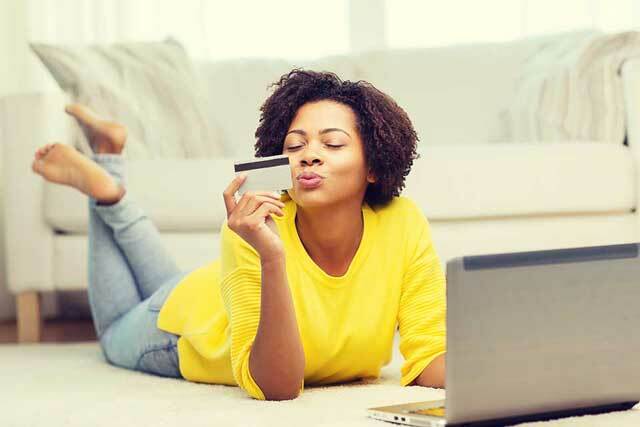 *Double points offer limited to qualifying purchases made using your EFCU Platinum Rewards Mastercard between June 1, 2018 and August 31, 2018 at 11:59:59PM CST in the following merchant categories: Airlines, Hotels, Car Rentals. We do not determine if merchants identify themselves as being in these categories, but reserve the right to determine which purchases qualify. Up to 10,000 points will be awarded per account. Bonus points will be credited mid-September. Your account must be open and in good standing at the time bonus points are credited. ** Subject to membership and credit approval. Same-day issue for EFCU Platinum Rewards Mastercard is available in-branch only during normal business hours.